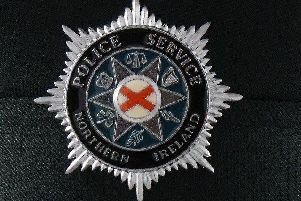 An imitation firearm was seized and a stern warning issued to a father and son duo after police received reports of a gun being pointed at people in Derry last night. The PSNI at Strand Road said they received a report of handgun being wielded in the Steelstown area and officers were immediately dispatched to protect the community. After receiving further information police intercepted a car on the Strand Road and seized an imitation short-arm similar in size and shape to the semi-automatic pistols that are police standard-issue. In a statement the PSNI said: "Stern words of warning and advice were imparted to a father and son in the car. The gun had been in possession of the youth and the error of his ways was starkly explained! "The gun is the same size and design as police issue sidearms. "While the top of it is blue, in the dark, the blue would not be apparent and a person may believe a real handgun is being pointed at them, with potentially dire consequences! "Please think carefully about similar actions as there are enough broken lives in this city caused by illegal firearms!"